Qiao, who owns an upscale karaoke club and a collection including works by Martin Creed, Olafur Eliasson and Zeng Fanzhi, has been planning Tank (Youguan Yishuzhongxin in Mandarin) for more than four years. “When [the state-backed development group] West Bund started seeking to install museums here, they invited me, and I chose the oil tank space,” he recalls. “Construction started in 2017, after a lot of preparation”, based on designs by the Beijing-based firm Open Architecture, which also designed the dramatic new seaside museum UCCA Dune. Tank was expected to open last November, but was delayed by a government AI conference held in West Bund spaces in September, which shut down construction for a month. 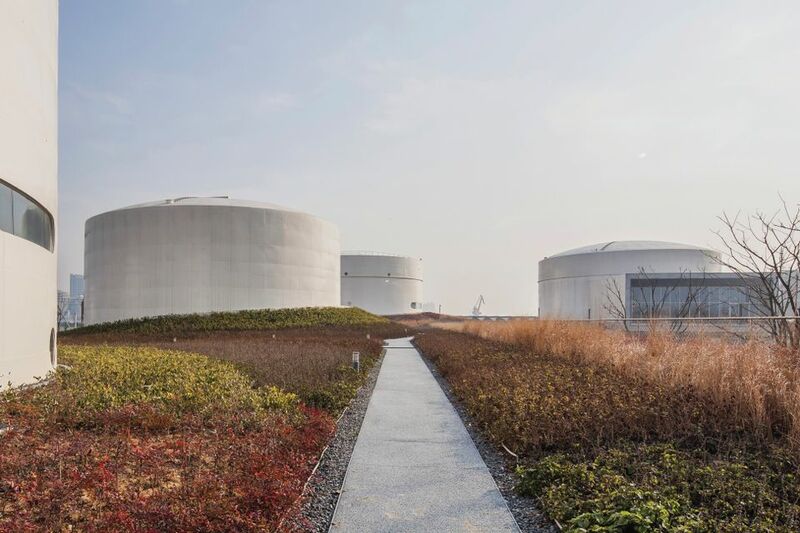 The three tanks closer to the river are connected by a new building, while two free-standing tanks by the road will be used as a clubhouse and space for special events, Qiao says. He intends to continue using the smaller Qiao Space, housed in the West Bund Art and Design Centre since 2015, for projects such as the current show of the Beijing-based artist Liu Chuang (until 12 May). Tank’s opening programme reflects a long-term vision that is “both Chinese and international, and contemporary”, Qiao says. Tickets for the teamLab installation are priced at RMB120 ($18) due to the production costs and likely popularity, but “otherwise I want tickets to be more accessible”, he adds. The exhibition was initially organised by the Beijing-based curator and critic Li Bowen, who left the project after being accused of sexual misconduct last year. Qiao anticipates that Tank’s curation “will continue to not be just one person, but rather bring in a lot of people and ideas”.